After a rough start for Greece’s newly inaugurated center-right government — Greece’s new prime minister Antonis Samaras remains immobilized from an emergency eye surgery over the weekend and his first pick for finance minister (Vassilis Rapanos, the head of the National Bank of Greece) resigned after falling ill last Friday — it looks like Greece finally has a finance minister. 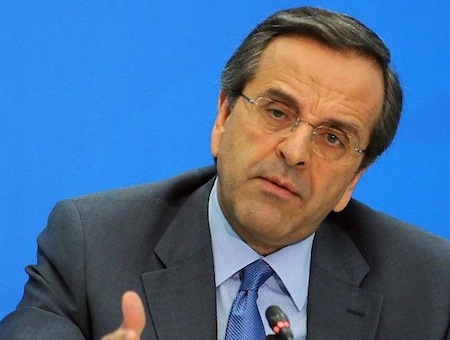 Samaras has appointed Yiannis Stournaras as the new finance minister, although Stournaras will not attend the European Union summit in Rome that kicks off Thursday. 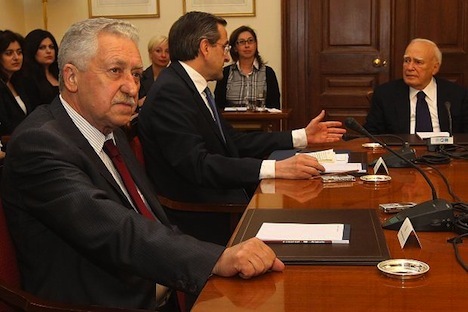 Samaras will not be able to attend, nor will the party leaders of his two coalition partners, Evangelos Venizelos, the leader of the center-left PASOK and Fotis Kouvelis, the leader of the more anti-austerity Democratic Left. 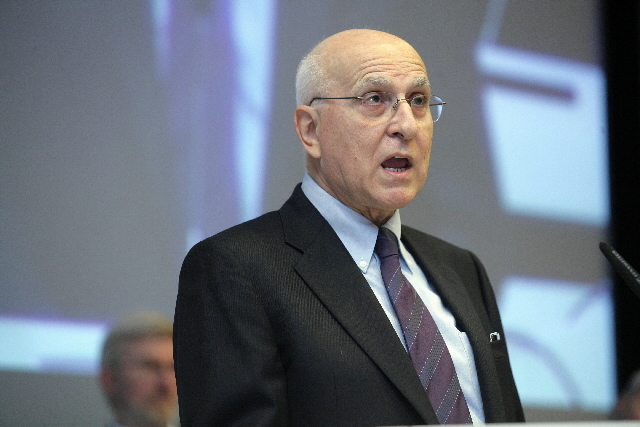 Instead, Greek president Karolos Papoulias, will lead the Greek delegation. 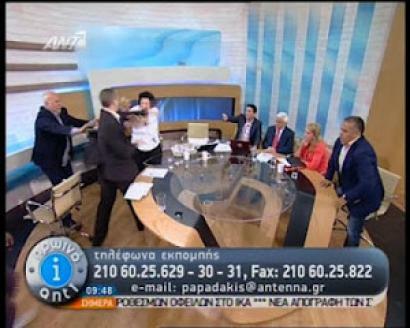 Meanwhile, in another blow to the Samaras government, newly installed deputy shipping minister George Vernikos resigned Tuesday after opponents pointed to his use of offshore companies, which are often used by Greeks to avoid taxes. 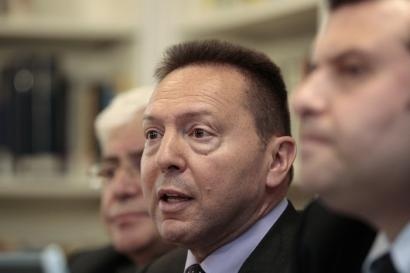 Stournaras is a generally respected professor and economist — most recently, he has served as the general director of the influential Foundation for Economic and Industrial Research, a Greek economic think tank and as development minister in the caretaker government between the May 6 and June 17 elections. He is most well-known for his role in designing economic policy in advance of Greece’s accession into the eurozone and is known in Greece as “Mr. Euro” — it’s certainly difficult to miss the symbolism in that. Stournaras has also worked as special adviser to Greece’s finance ministry and the Bank of Greece in the 1980s and 1990s. He faces a difficult juggling act – pushing for more time and money from sceptical foreign lenders while coaxing reluctant officials at home to push through unpopular reforms. 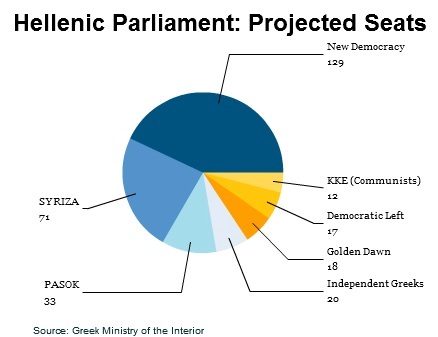 A troubling nugget comes from The Financial Times, whichreports that none other than PASOK leader Venizelos, also the former finance minister who negotiated Greece’s second bailout (that the government now hopes to renegotiate), just last week vetoed the reappointment of Stournaras as the permanent development minister. 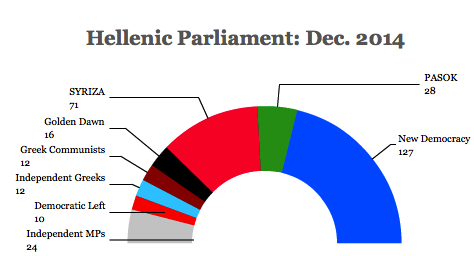 As the second Greek legislative campaign in as many months winds down for Sunday’s vote, it is becoming difficult to spot the difference between the leaders of the two parties most likely to win. Oh what a difference a month can make. 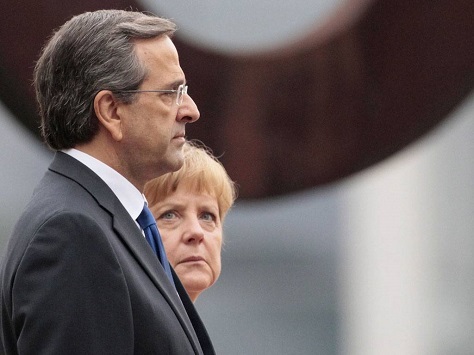 He indicated that European leaders were open to renegotiating Greece’s debt deal. 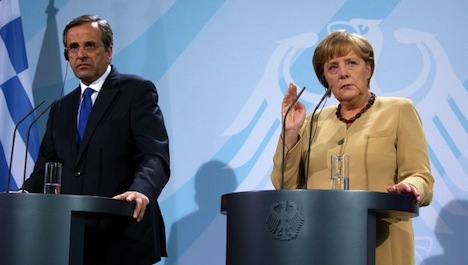 “Europe is changing, Greece has a chance for a fair negotiation within this climate of change,” he said. 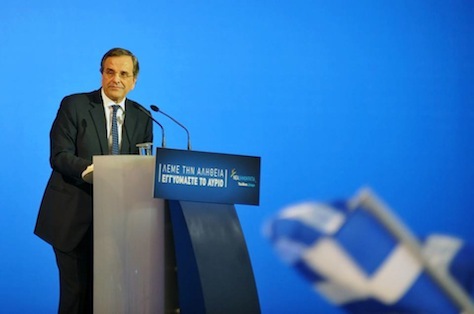 Samaras said ND had set two conditions for joining other parties in a coalition government: securing Greece’s position in the eurozone and modifying the memorandum. 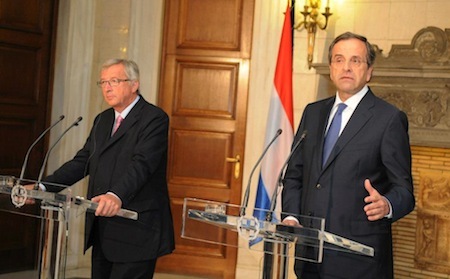 It’s a staggering evolution by Samaras, even since May. 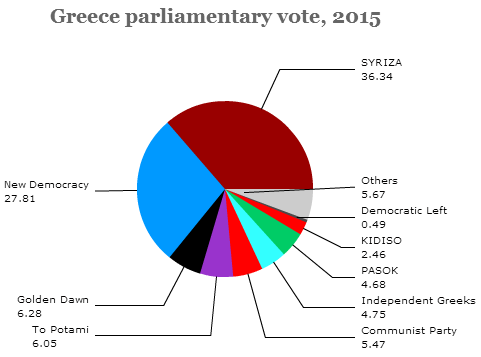 Regardless of whether SYRIZA wins on June 17, it has cleared moved the terms of Greece’s national debate. 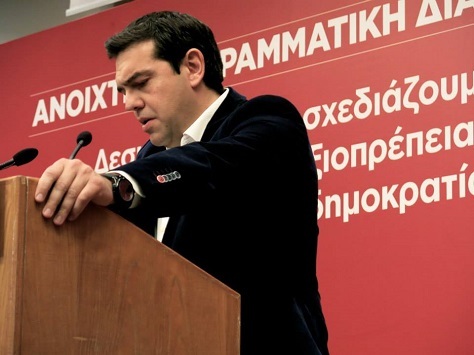 Alexis Tsipras laid out his party’s program for the upcoming June 17 Greek election on Friday. 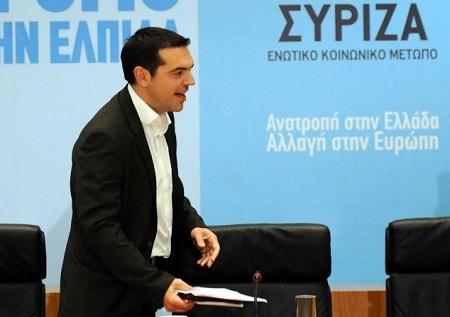 Tsipras said a SYRIZA government would immediately reject the memorandum on coming to power and ask for Greece’s debt to be restructured or for a moratorium on repayments. It would then repeal a reduction to the minimum wage and extend unemployment benefit to two years. It would also repeal recent labor market reforms limiting collective contracts. 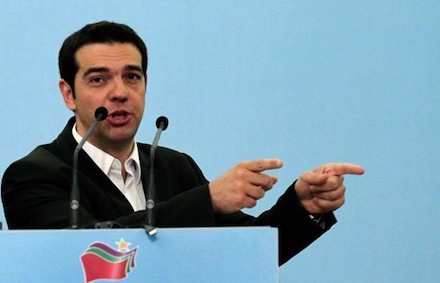 Tsipras set out how his government would stabilize the economy. He said public spending would be set at between 43 and 46 percent of GDP, rather than under 36 percent as agreed in the memorandum. 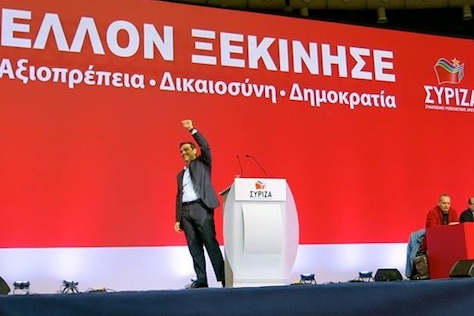 The SYRIZA leader said he would raise revenues by cutting down on tax evasion, waste and corruption and forming an assets register for all Greeks at home and abroad. The wealthy would pay more under a new tax system, he said. 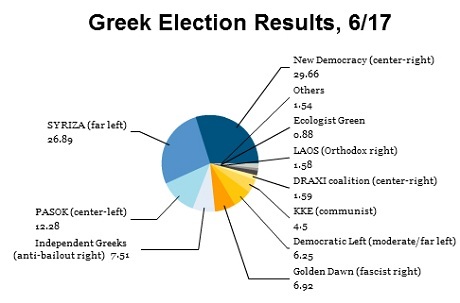 The key takeaway point is that it is not substantively different from the program under which he led SYRIZA, the Coalition of the Radical Left (Συνασπισμός Ριζοσπαστικής Αριστεράς) in the previous May elections. 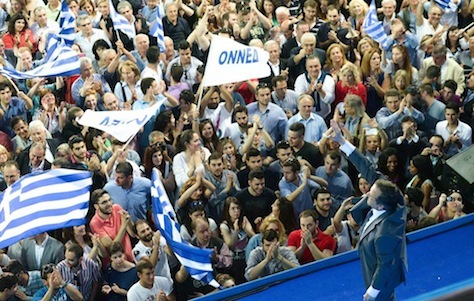 It does, however, highlight a subtle but unmistakable shift in the tone of Tsipras’s main rival, Antonis Samaras, the leader of New Democracy (Νέα Δημοκρατία), the center-right pro-bailout party that finished first in the May election. 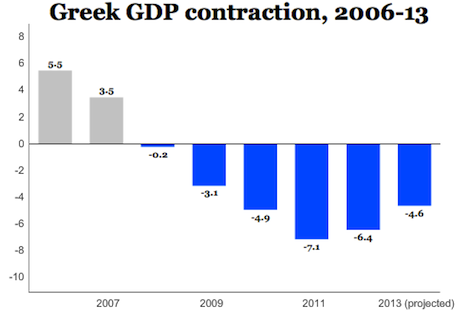 Samaras in recent days has increasingly been taking a softer line on renegotiating Greece’s austerity program with the European Commission, the European Central Bank and the International Monetary Fund, all of which granted two bailouts to Greece in exchange for its adoption of austerity measures and labor market reforms.